Vegetables are not only a must-have in a healthy human diet, but they are important for dogs as well. 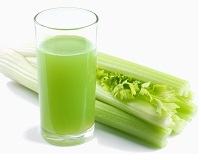 Just like us humans, dogs too can benefit from the antioxidants and other important nutrients vegetables have to offer. That is why you might want to share your veggies with your canine friend. However, as dogs cannot eat all the things that we eat, it’s best to always check whether something is okay before sharing it with your pooch. So, how about asparagus? Can dogs eat asparagus? Can Dogs Eat Asparagus? Quick Answer! Yes, dogs can eat asparagus. The only thing you have to worry about is the quantity. 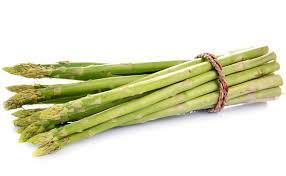 As with most fruits and veggies, asparagus too is only okay for dogs in small amounts at a time. It’s also best to cook this vegetable before serving it to your dog. For it to be completely safe for your dog to eat asparagus, you have to follow a few guidelines. Can Dogs Eat Raw Asparagus? Is It Necessary to Always Cook the Asparagus? Dogs actually can eat raw asparagus as well, but there are some risks involved. As dogs don’t have flat back teeth like us humans, they are not able to properly chew their food. So if you would feed your dog some fresh asparagus, it’s likely that she would swallow it all at once. The whole asparagus, however, could get caught in your dog’s throat and choke her. That’s why it is not recommended to give your dog raw asparagus. 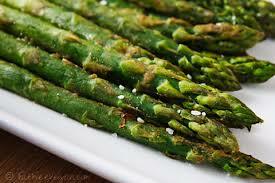 Steaming or cooking the asparagus would not only make the vegetable softer, but also more easily digestible. While it’s true that, when cooked, most vegetables lose some of their nutritional value, a dog probably doesn’t like the taste of a fresh asparagus anyway. That’s why the best way to feed asparagus to your dog is by adding cooked and pureed asparagus to home-cooked dog meals or regular dog food. You should not let your dog eat too much asparagus at once, as in large quantities, asparagus just like most fruits and vegetables, can cause diarrhea. However, diarrhea in not the only concern with over feeding asparagus to your dog. As asparagus is a natural diuretic, causing increased passing of urine, eating a large amount of asparagus can make your dog urinate a lot. The diuretic effect of asparagus can be useful when your dog has eaten something very salty, but on a normal day, you probably don’t want to take your dog outside to pee several times in an hour. That’s why it would be for the best if your dog would only eat a little bit of asparagus in a single sitting. As safe amount would be a few stalks in a single sitting. Large dogs can have up to 4 or 5 asparaguses, but small-sized dogs should not be fed more than 1 or 2 of these vegetables. Roasted asparagus is probably the most delicious dish one can make out of asparaguses. Sadly, though, it is not often safe for dogs to eat roasted asparagus. The problem with roasted asparagus for dogs is that roasted asparagus is often seasoned with garlic and a good amount of salt. And as you may already know, garlic is toxic to dogs, and salty food too can be dangerous to dogs. Unless you made the roasted asparagus yourself and know for a fact that it doesn’t contain garlic and excessive amount of salt, it’s for the best not to feed your dog roasted asparagus. Is Asparagus Good for Dogs? We talked a lot about whether it is safe for dogs to eat asparagus, but what about whether it’s good for dogs to eat asparagus? After all, the potential health benefits are the main reason to eat this vegetable. And the answer is yes, asparagus can be good for dogs as well. The vegetable can offer your dog many important nutrients. Asparagus is an excellent source of vitamin A, which is important for your dog’s vision, muscles, skin and hair. The iron asparagus has to offer is also very important for dogs. 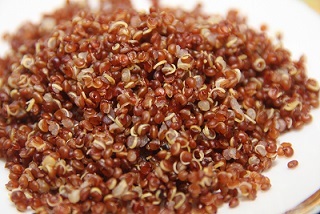 Iron is essential nutrient for healthy blood and for the normal functioning of many enzymes in a dog’s body. Asparagus is also a good source of dietary fiber, which needed for your dog’s digestive tract to work properly. If your dog has digestive problems like diarrhea or constipation, then feeding her asparagus or other dietary fiber rich vegetables can help. As already mentioned above, asparagus is a natural diuretic, which means that it increases the bodies production of iron. This effect can be problematic if you feed your dog too much asparagus, but if you only give your dog a little bit of asparagus, then the natural diuretic effect can be beneficial. The diuretic effect can promote better kidney function and rid your dog’s body of excess fluids and toxins. According to the World’s Healthiest Foods, asparagus has an impressive anti-inflammatory and antioxidant nutrient composition, and because of that asparagus can help to reduce the risk of many different cancers. As cancer is not only a health risk for us humans, but for dogs as well, it’s definitely a good idea to include some anti-cancer foods in your dog’s diet. If you have heard that asparagus fern is toxic to dogs, then you might be a bit concerned about feeding asparagus to your dog. However, there’s no need for concern here. Despite the similar names, the asparagus we eat and love and the asparagus fern are two completely different things. The latter is an ornamental garden plant that doesn’t even produce edible shoots. To sum it up, dogs can eat asparagus, bur remember that only a moderate amount of this vegetable is okay for your doggy. It’s also best to cook the asparaguses before feeding them to your dog. As asparagus contains many valuable nutrients, it would definitely benefit your dog to have some asparagus in her diet, but if your doesn’t like this vegetable, then you don’t have to go out of your way to include some asparagus in your dog’s diet. Instead, you can try to feed your dog some other healthy vegetables. “Asparagus.” The World’s Healthiest Foods. Web. 21 Apr. 2016.